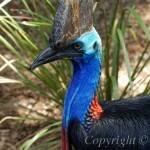 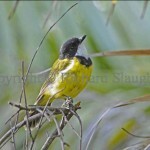 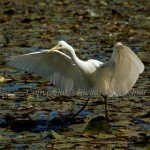 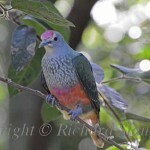 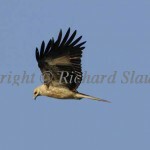 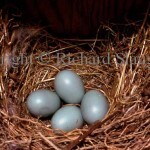 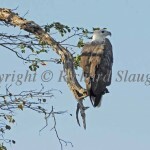 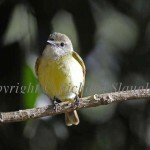 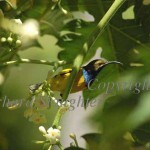 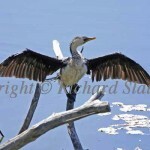 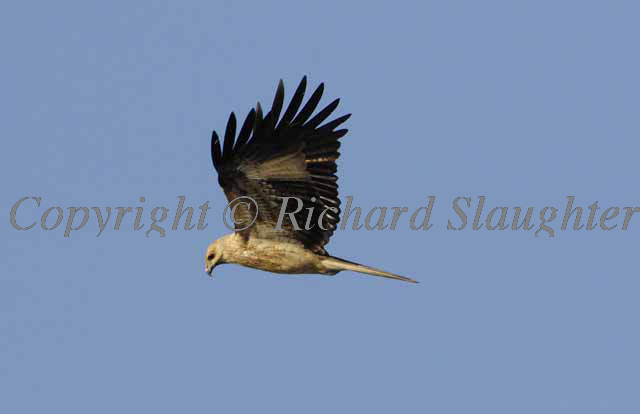 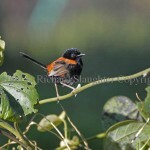 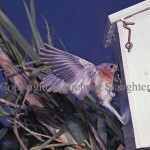 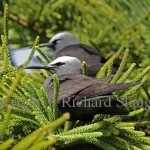 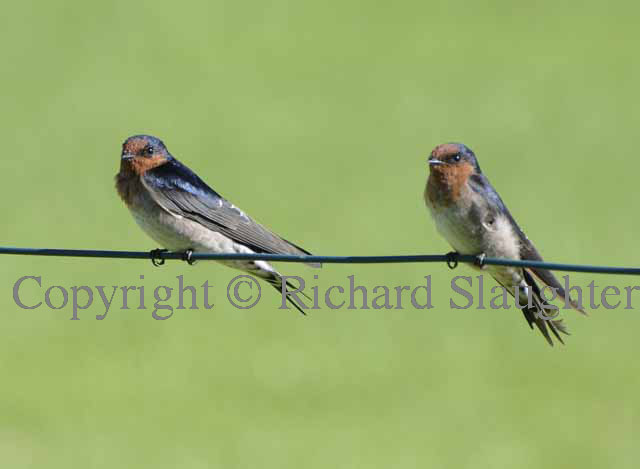 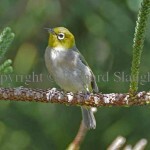 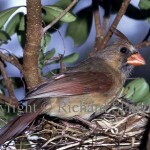 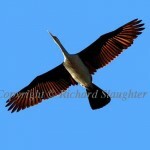 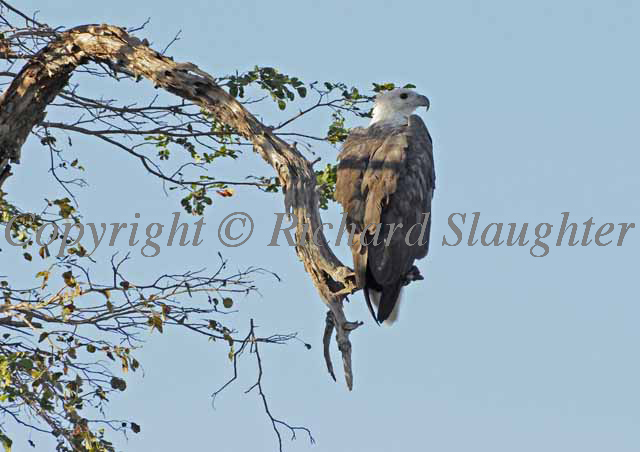 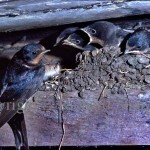 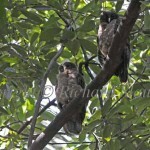 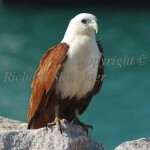 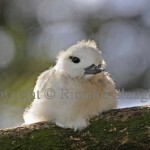 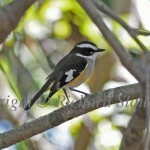 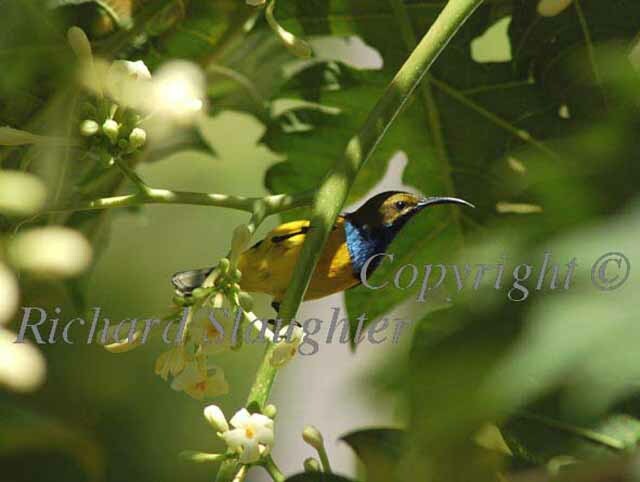 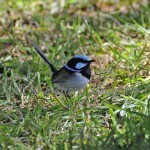 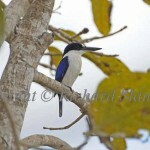 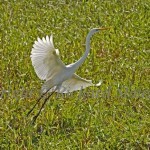 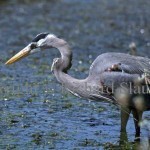 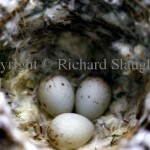 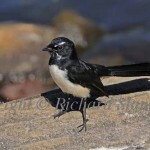 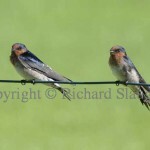 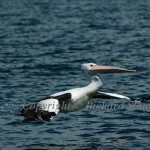 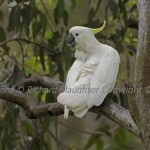 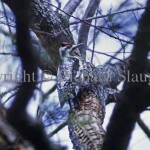 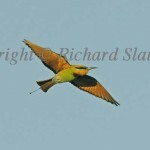 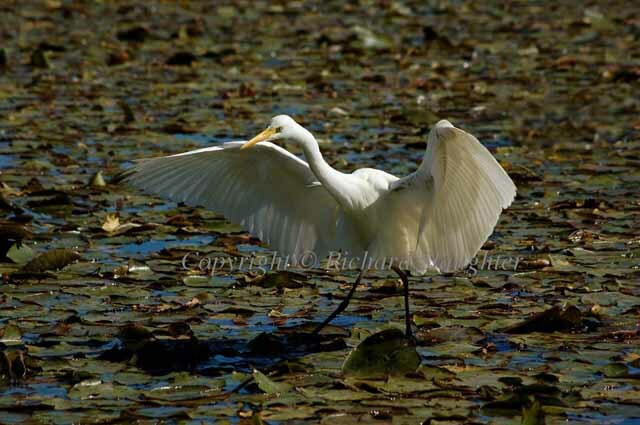 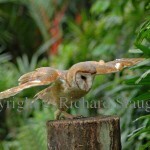 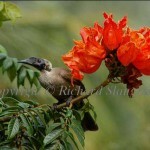 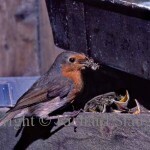 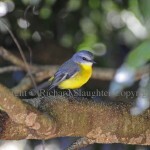 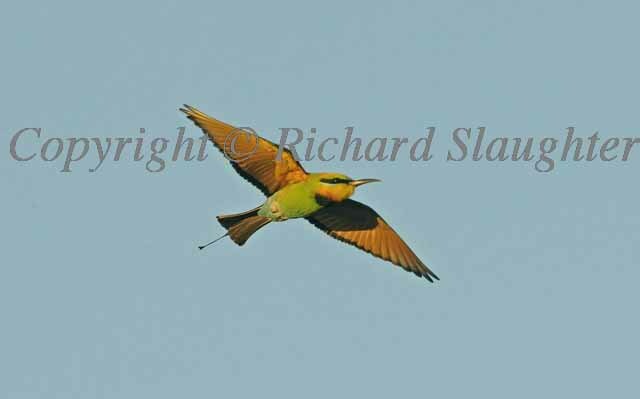 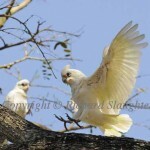 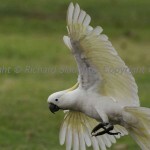 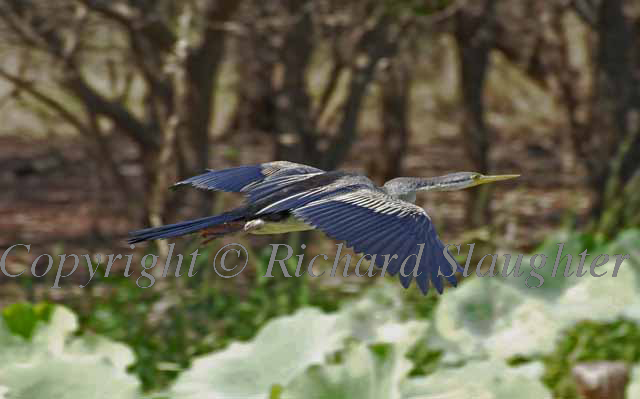 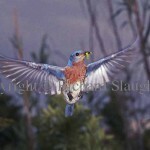 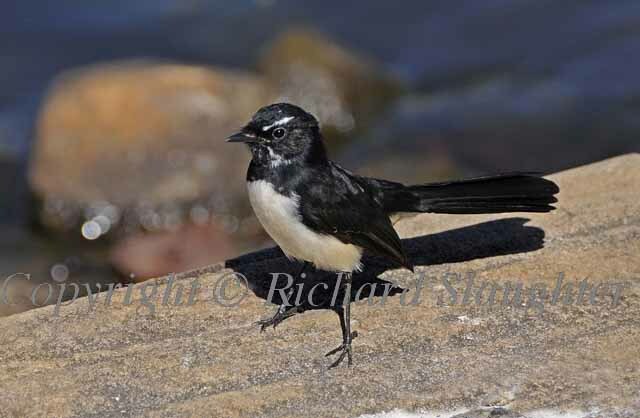 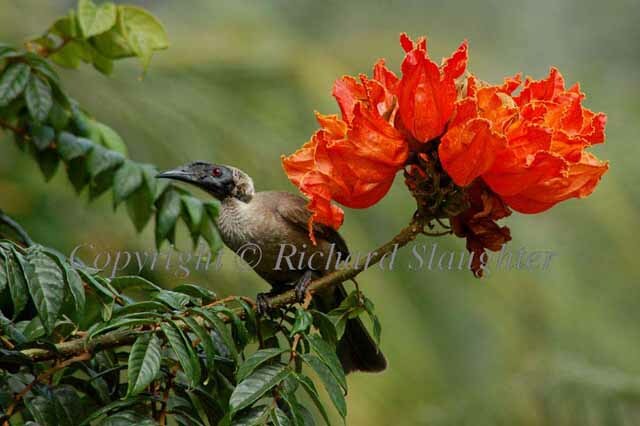 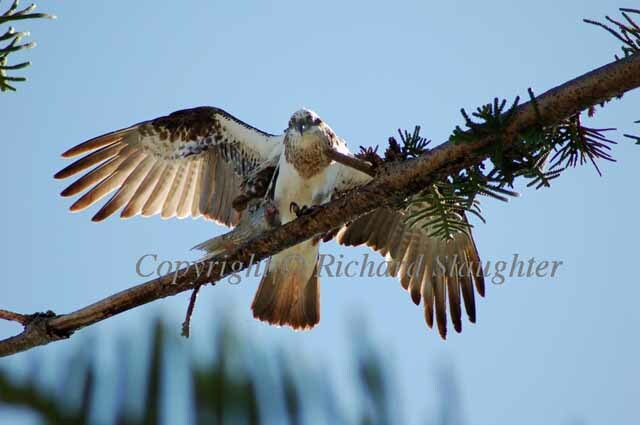 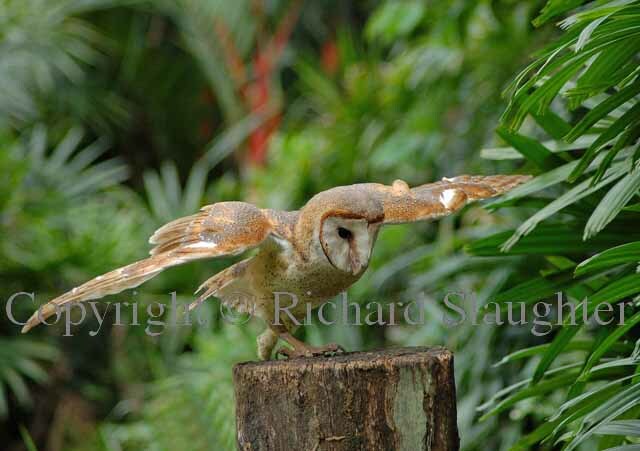 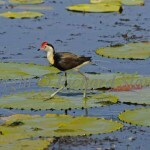 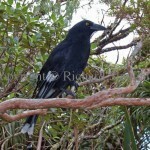 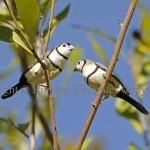 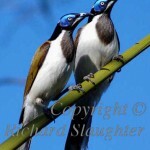 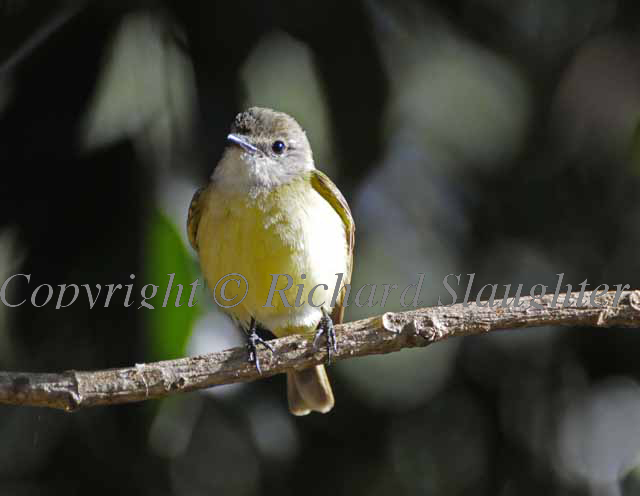 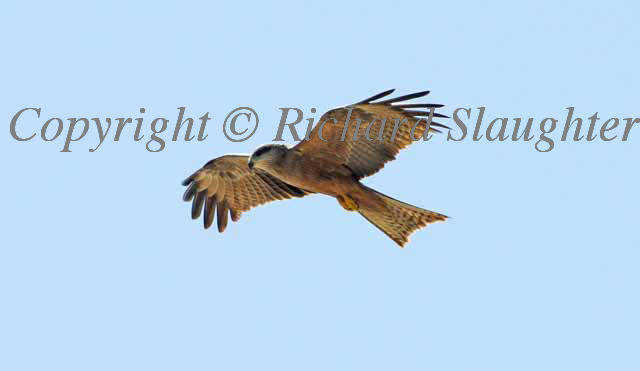 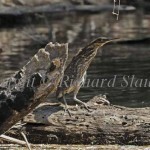 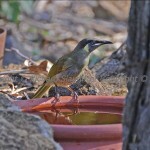 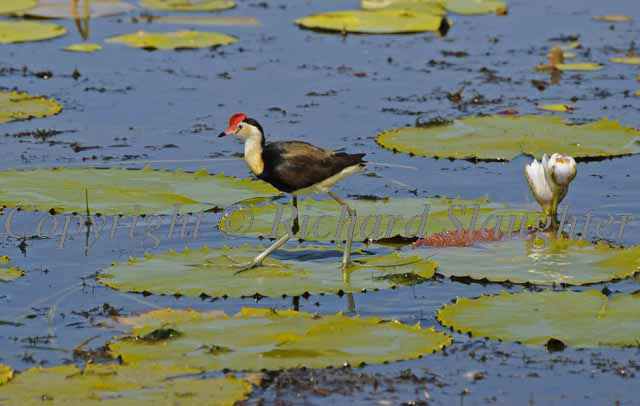 On this page you’ll find a selection of my best bird photographs. 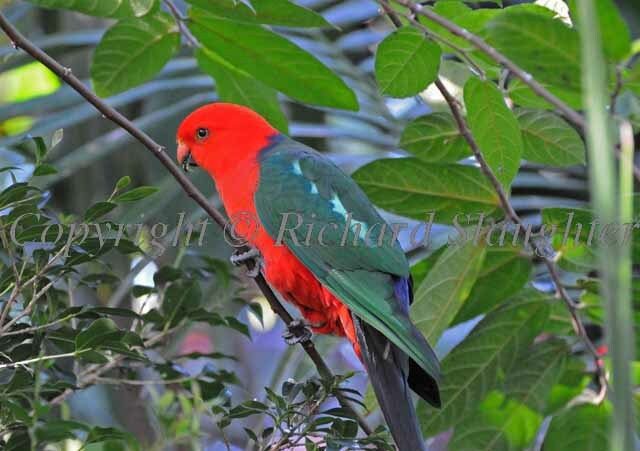 Ordering info for high quality prints is provided below. 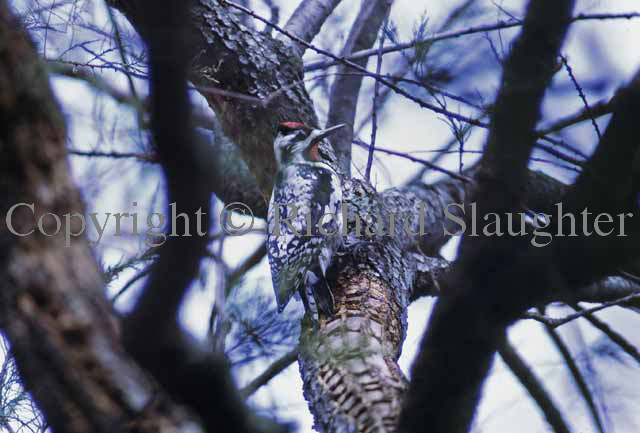 The above were mostly taken with a Pentax Spotmatic SLR camera using 35 mm slide film. 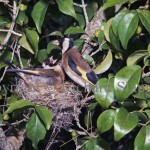 Some of the later shots were taken with a Hassleblad large format camera using normal roll film stock. 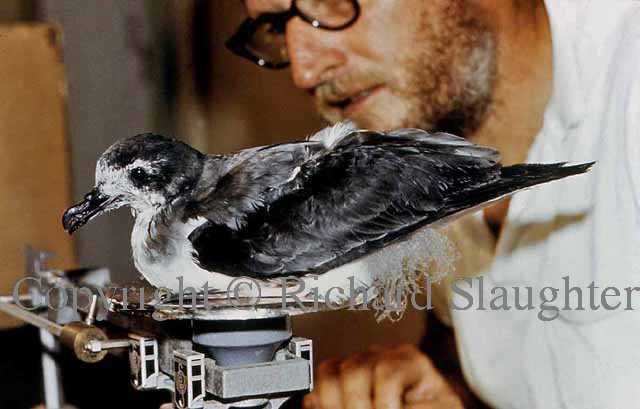 All slides and negatives were carefully stored and have been re-scanned in recent years. 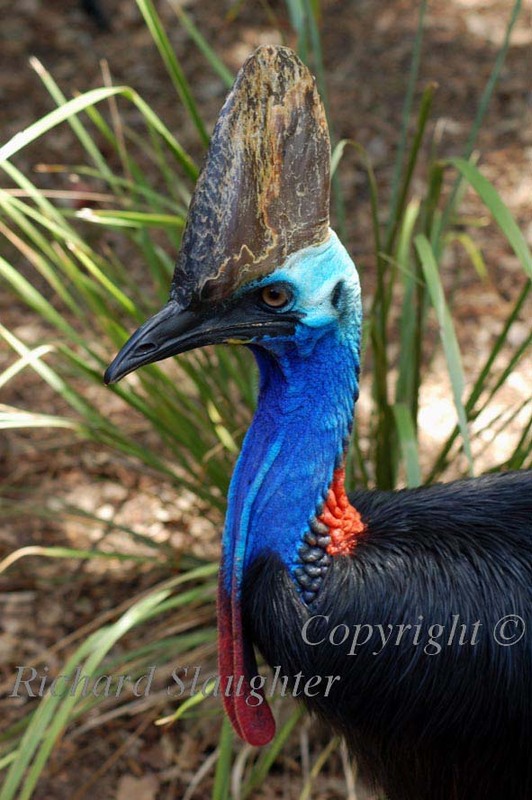 Many now look better than the originals. 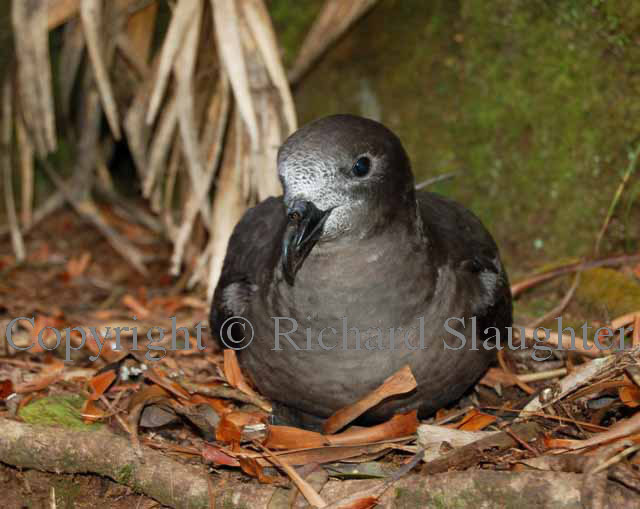 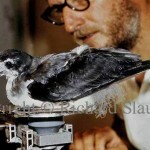 I’m grateful to David Wingate (pictured last row, with a Cahow, or Bermuda Petrel chick) for opening up the natural world to me and encouraging me to take up my later studies at Lancaster University. 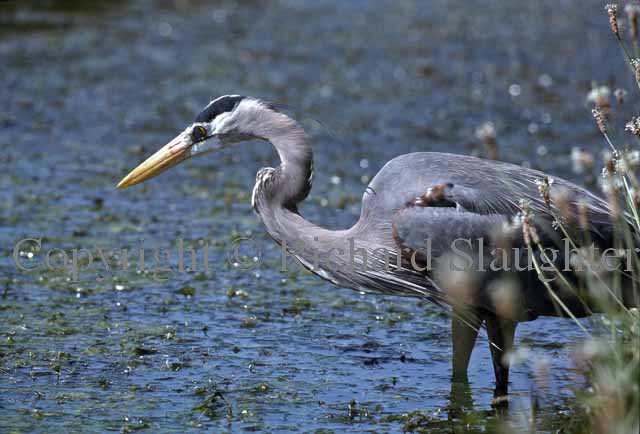 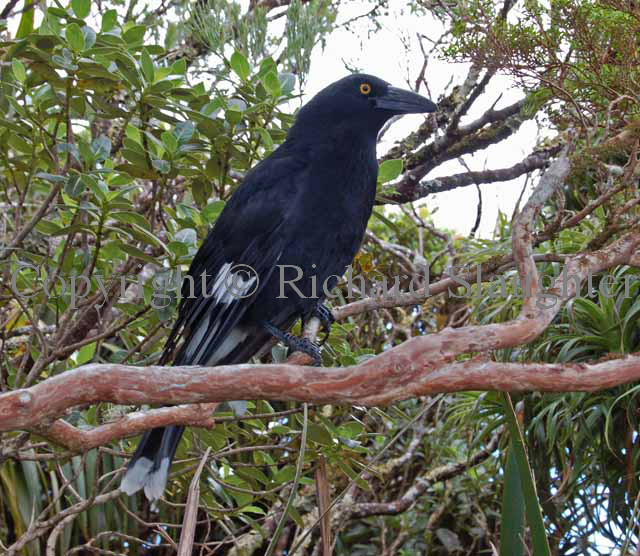 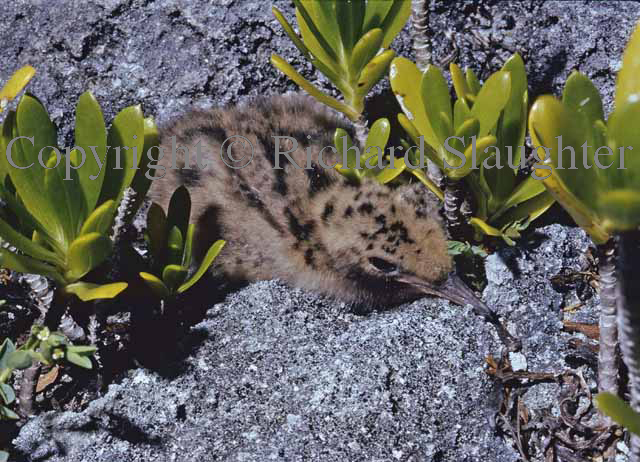 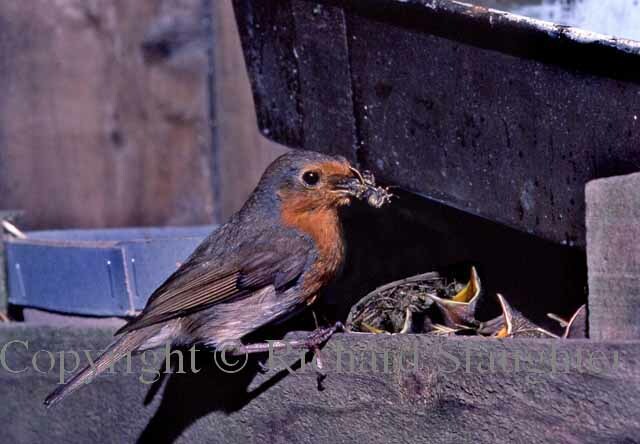 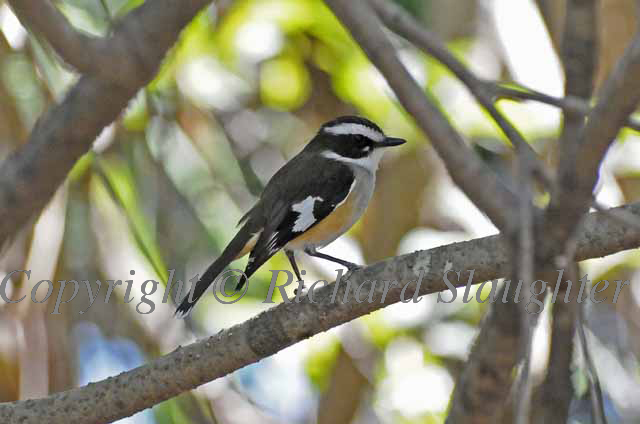 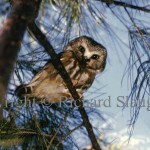 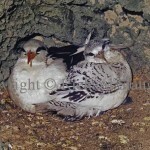 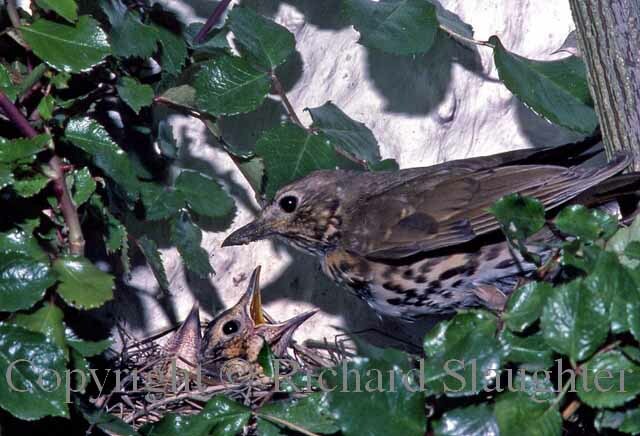 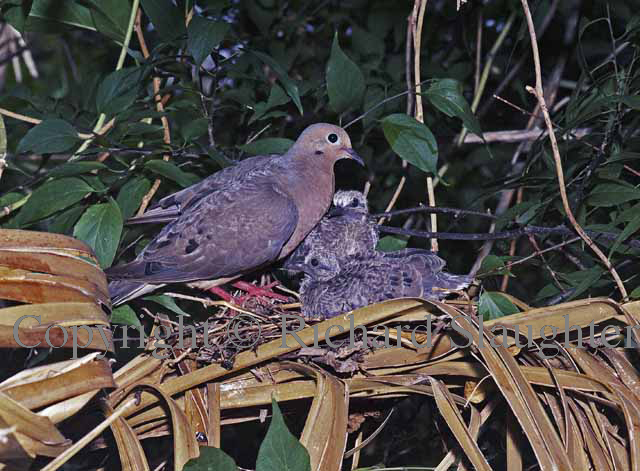 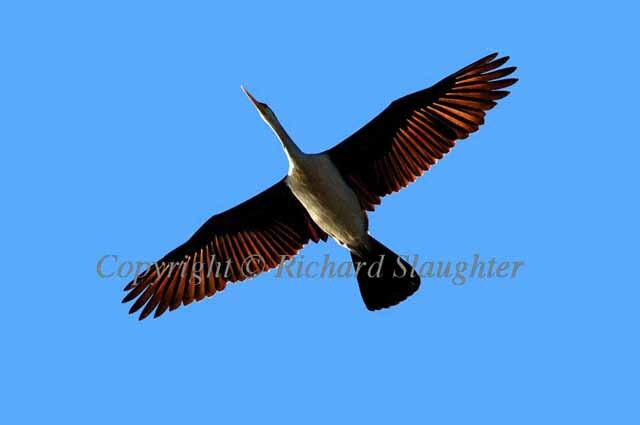 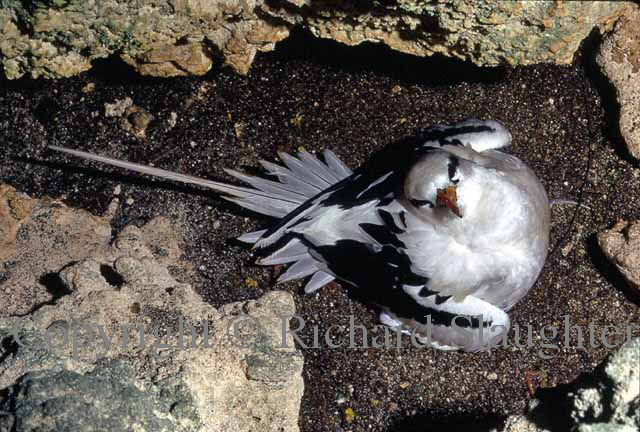 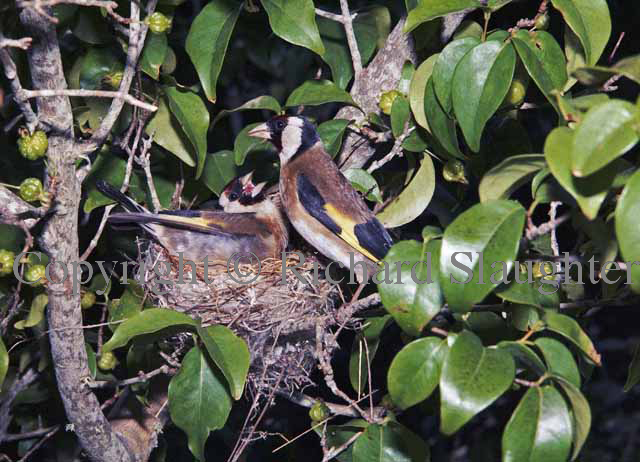 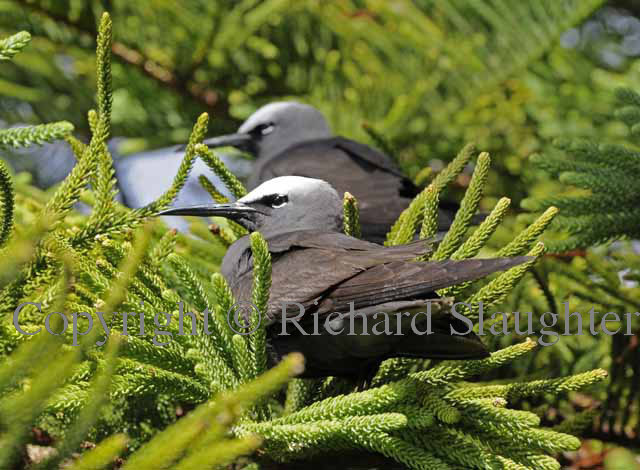 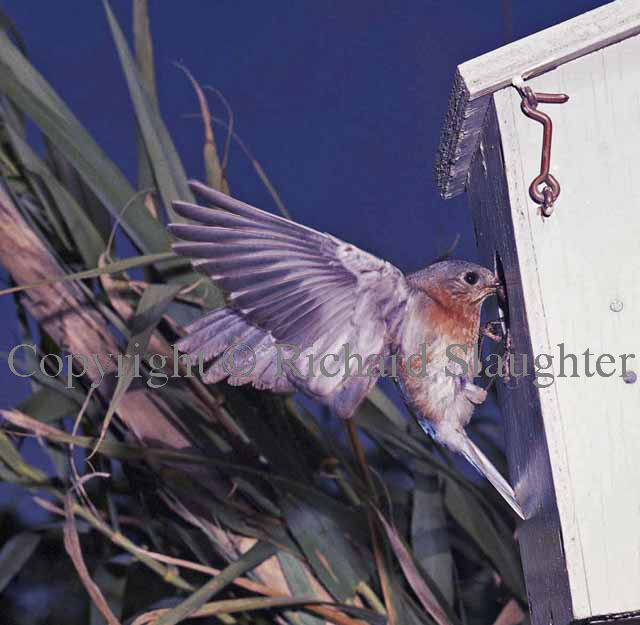 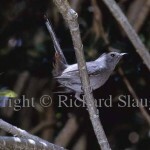 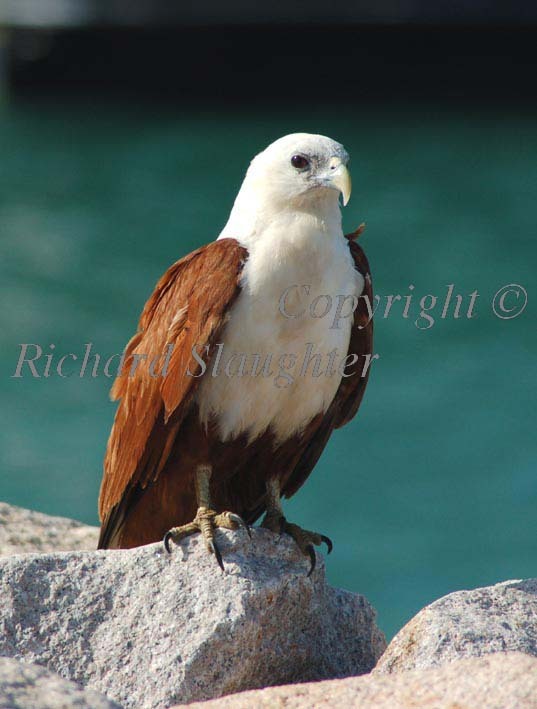 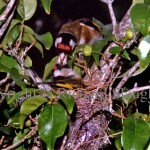 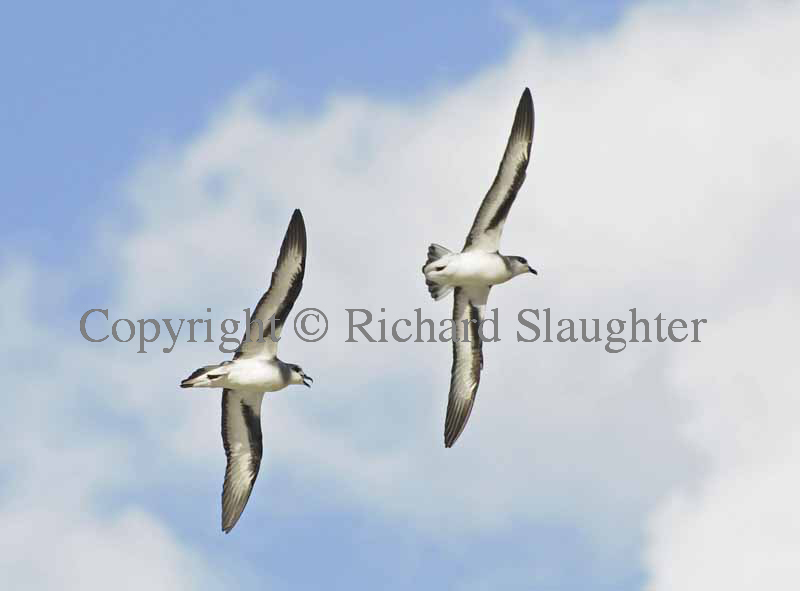 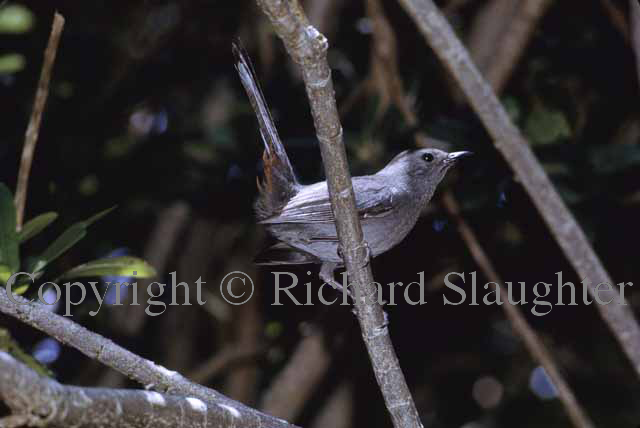 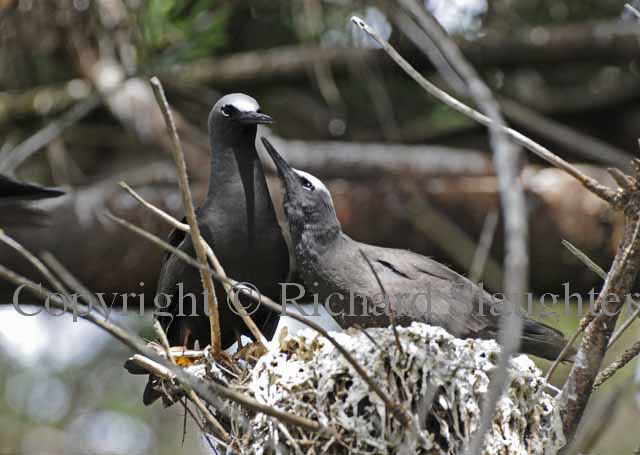 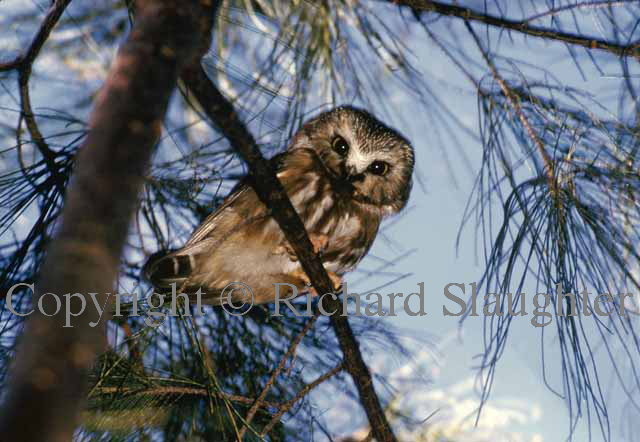 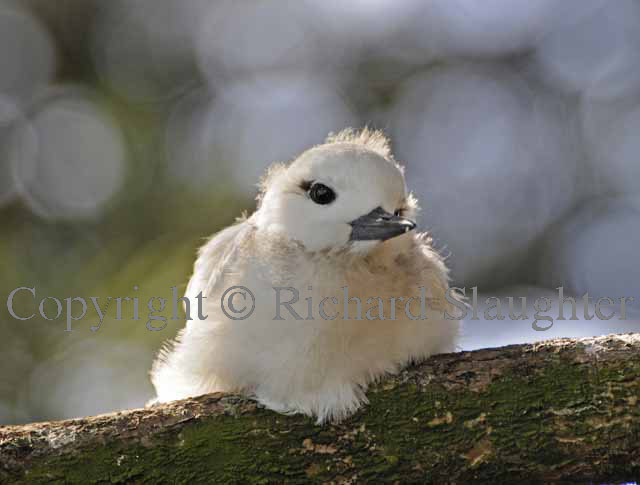 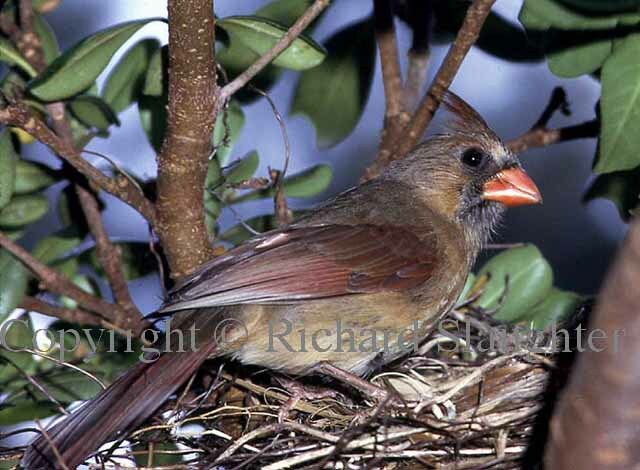 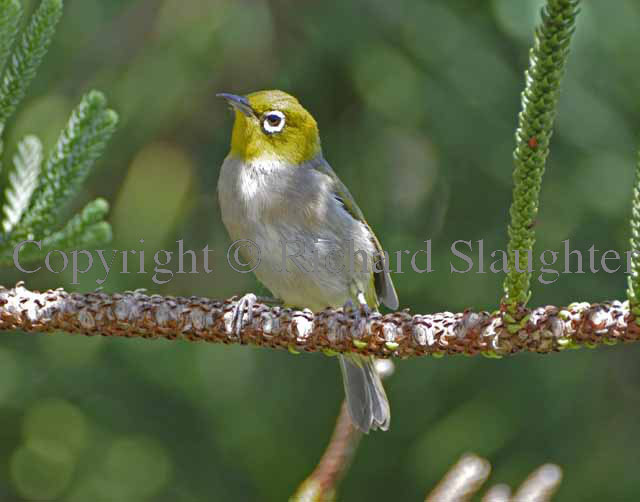 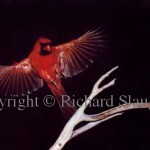 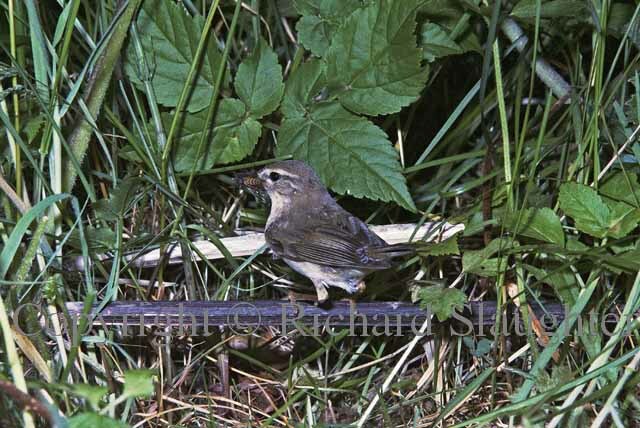 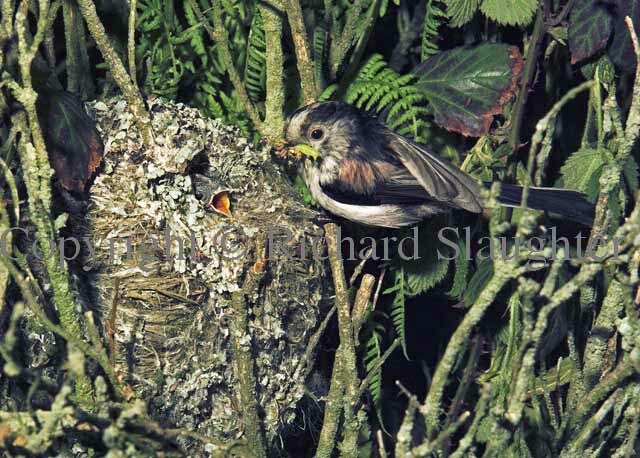 The background to some of these images, and many of the images themselves, can be found in Birds in Bermuda (Bermuda Bookstores Ltd, 1975) copies of which are still available on the web. 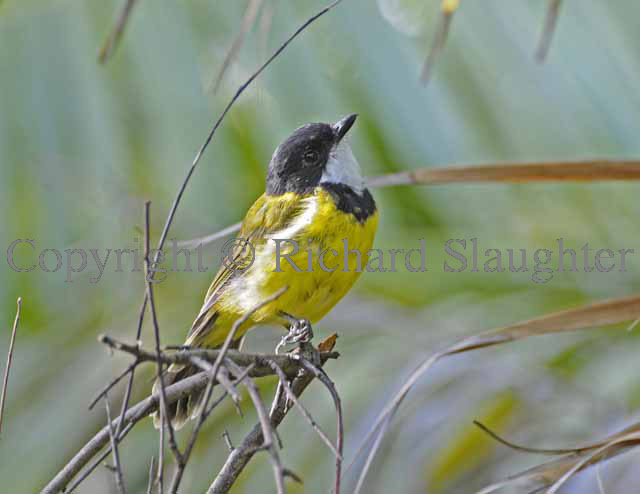 These are low resolution images; high resolution prints of any of the images found on this gallery can be obtained via: info@foresightinternational.com.au to which details of requests should be sent. 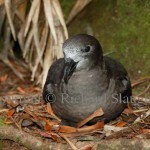 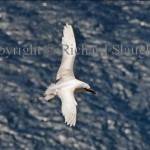 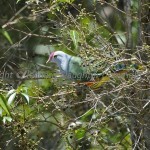 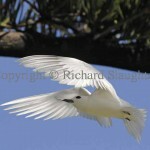 While I’d remained a keen ‘birder’ ever since Bermuda I’d not given bird photography much thought. 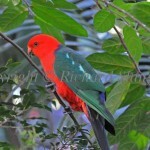 That all changed when my eldest son, Rohan, gave me a digital SLR for my 60th birthday. 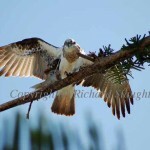 It propelled me into the world of digital imaging. 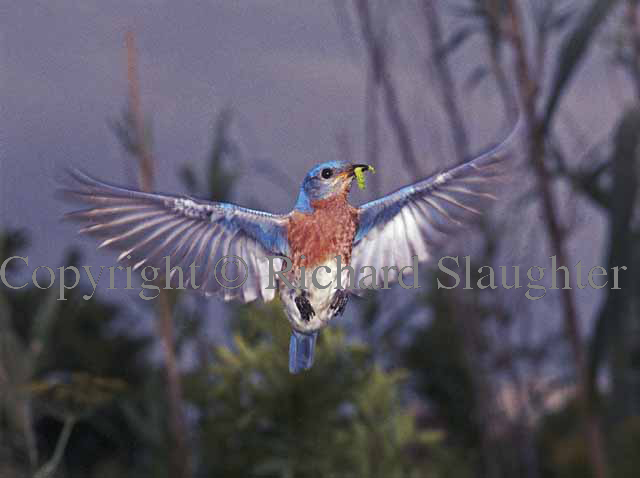 As any bird photographer knows, using film cameras to capture birds in action entailed a high degree of wastage. 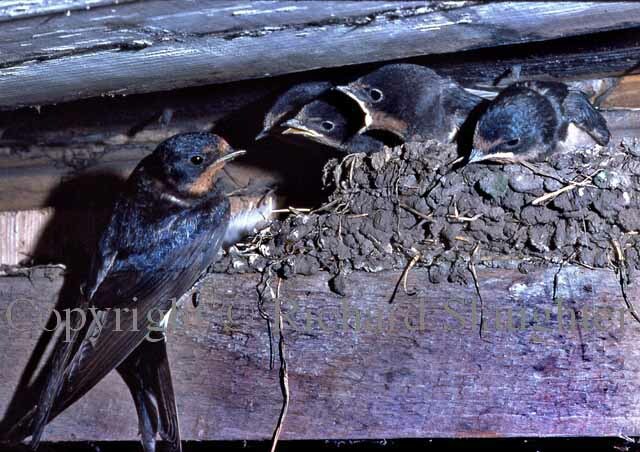 Moreover, unless you used an instant film back on an expensive professional camera, you could not see the results of work in the field until much later on. 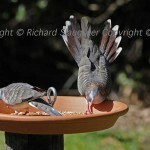 Now, however, the wastage was eliminated and you had immediate feedback. 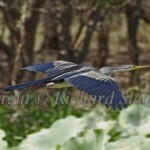 If a picture was over-exposed, out of focus, etc., then you found out pretty much at once and could correct it. 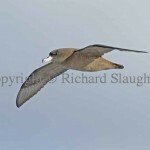 Then, instead of handing over the exposed material to a distant lab, you could now bring the memory card home, put it into the computer and adjust the images at will. 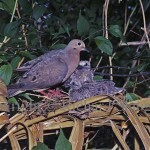 It was and is a new world. 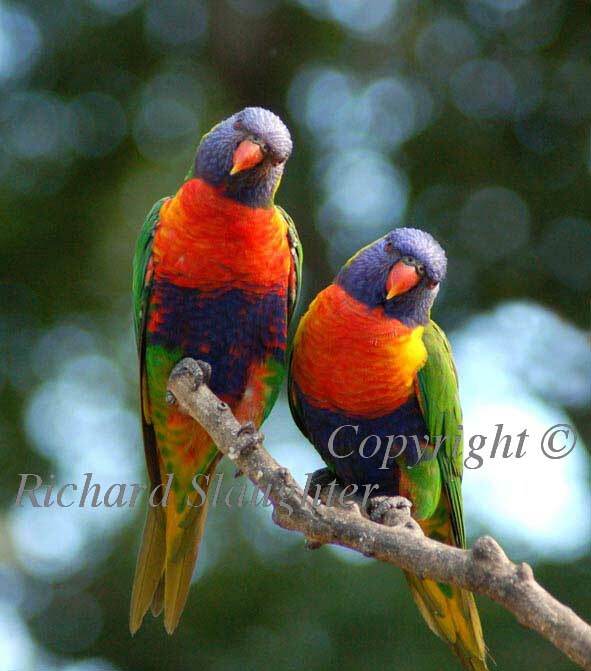 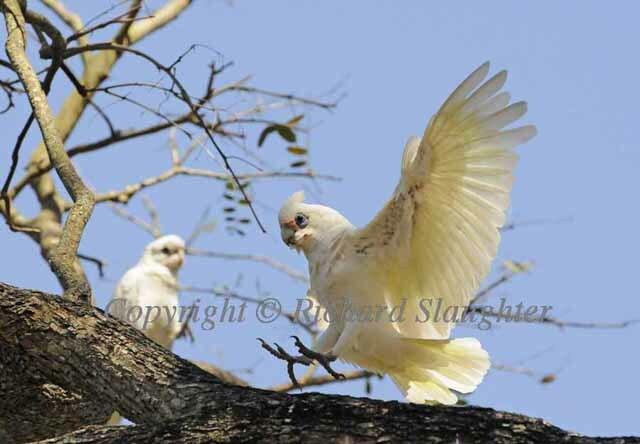 At some point one has to get serious, so in mid 2008 Laurie and I headed off to Darwin to attend a bird week run by Dr Richard Noske out of Charles Darwin University. 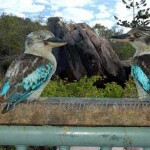 It makes a real difference to visit an area with someone who knows its secrets and out-of-the-way places. 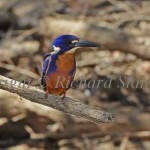 So we embarked on a long journey around Kakadu National Park where we were treated to close-ups of Scarlet Honeyeaters, Azure Kingfishers, Jacanas and many other species – to say nothing of huge salt water crocodiles! 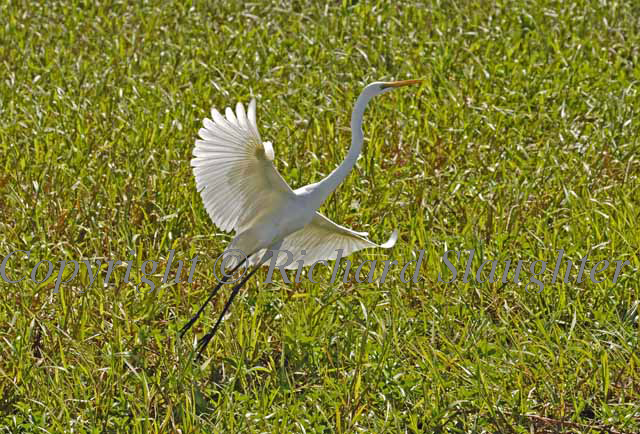 The place that seemed to be most brimming with life was Yellow Waters where, unfortunately, we only had an all-too-brief ride on a commercial cruise. 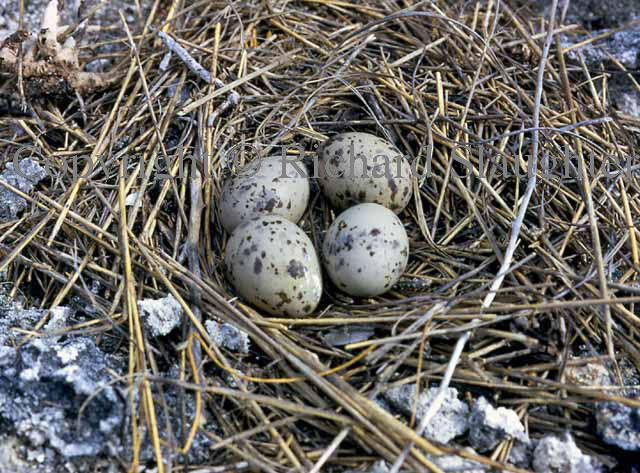 We could have stayed all day – and longer. 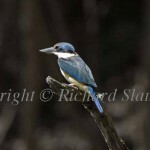 After the bird week we took off with Bev and Peter Morgan (two of Laurie’s semi-distant – but now close, relatives both of whom are brilliant birders) to Corobboree Billabong where we set out on a tiny aluminium raft powered (?) 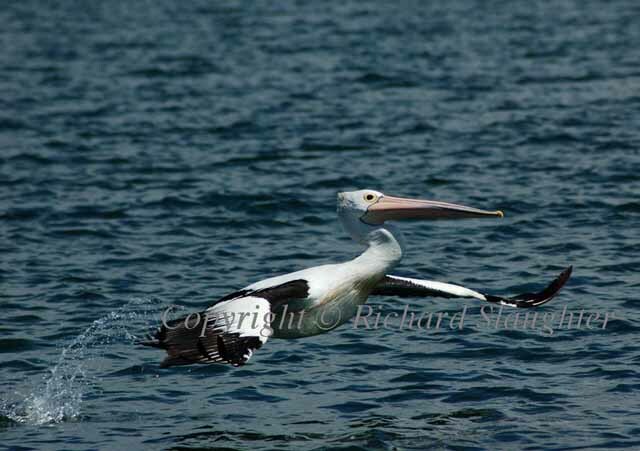 by a small outboard motor. 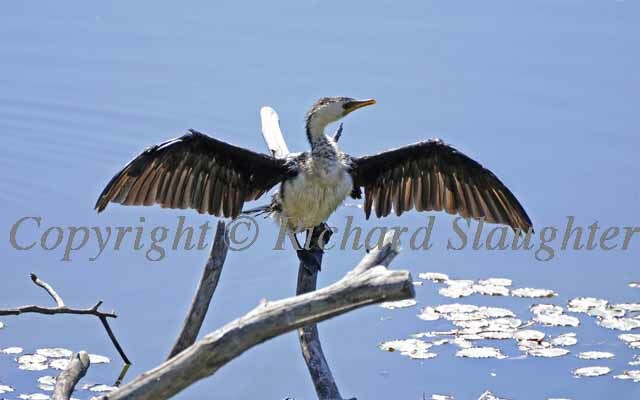 Frankly I found it unnerving to get so close to those massive crocs lurking in the water around us, their knobbled backs just showing above the surface as they’d done for millions of years. 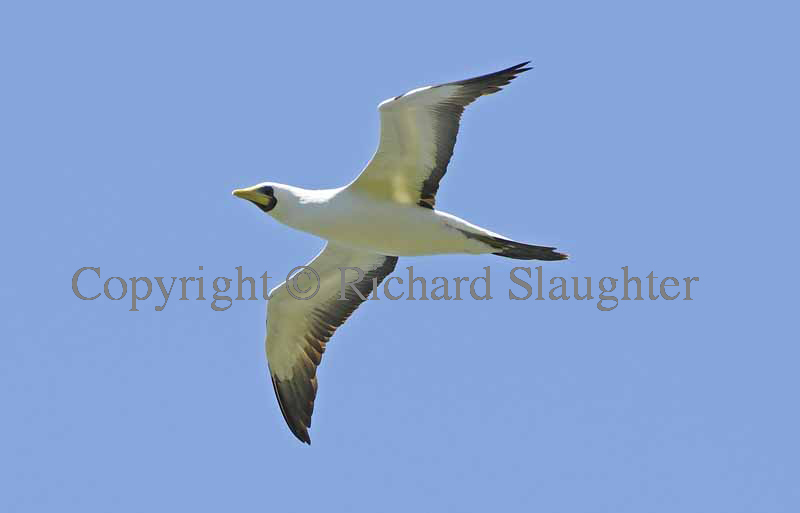 Still, it was a very bright day indeed (meaning short, sharp exposures AND good depth of field) and I brought back some of the very best images taken on that trip. 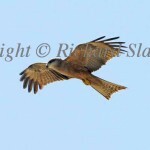 A few of them are above. 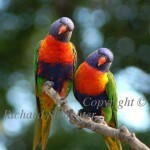 After the Darwin/Kakadu bird week what could be next? 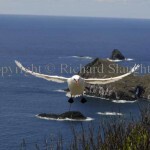 We’d heard good things of Lord Howe Island (LHI) from friends and I’d once seen it from high altitude en route to L.A. 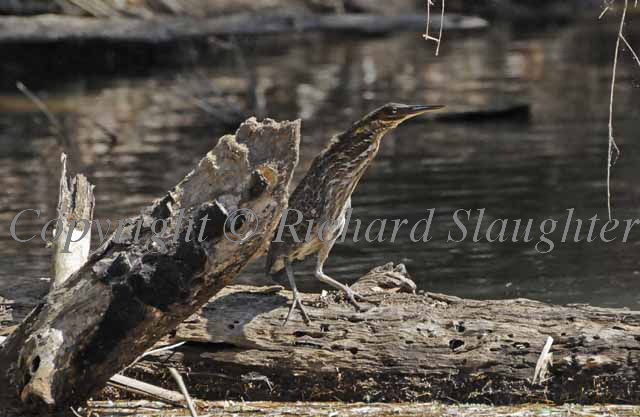 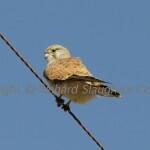 But Ian Hutton, the resident naturalist, was running a bird week there in November so off we went. 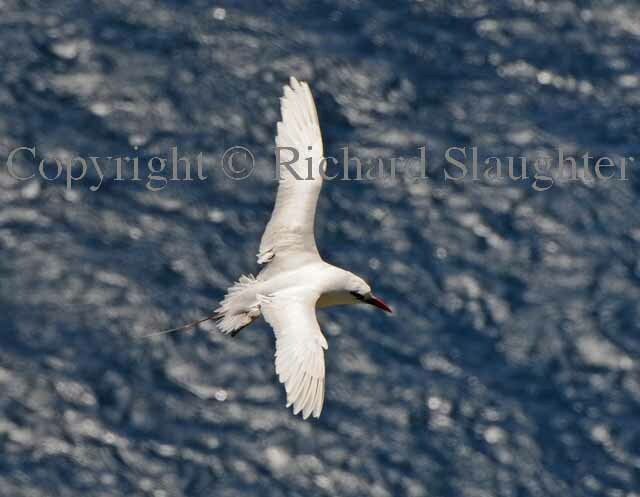 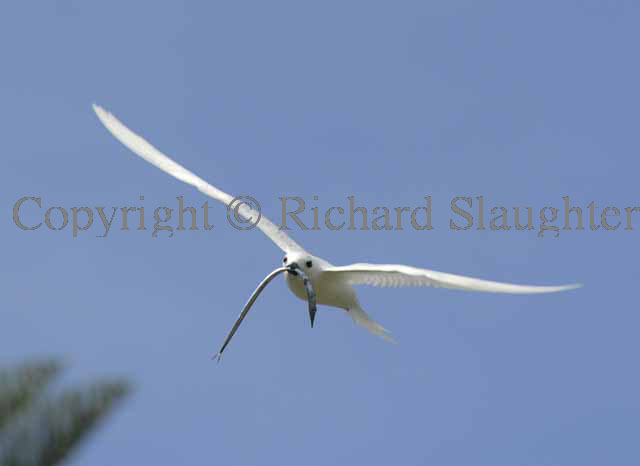 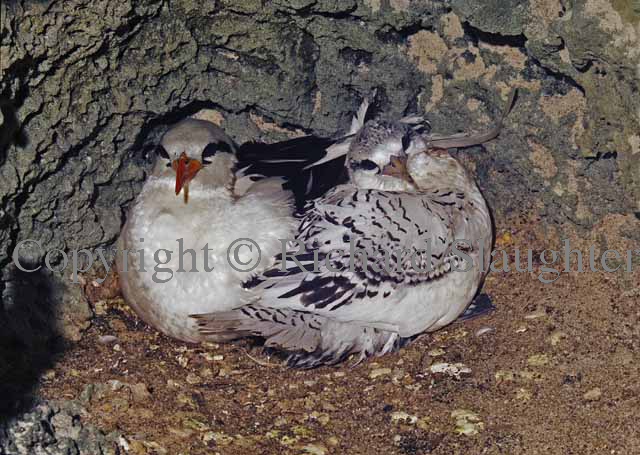 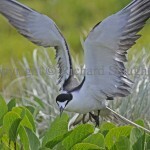 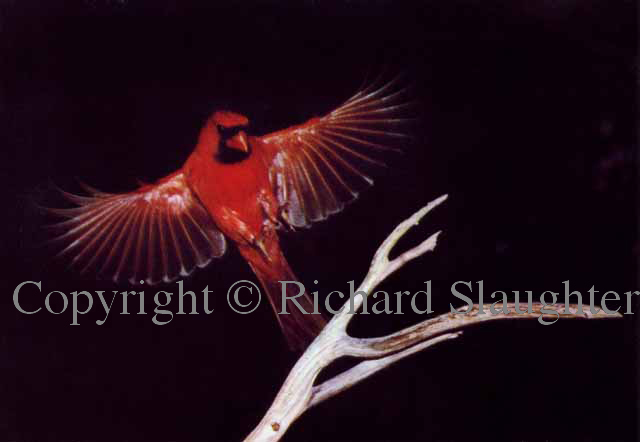 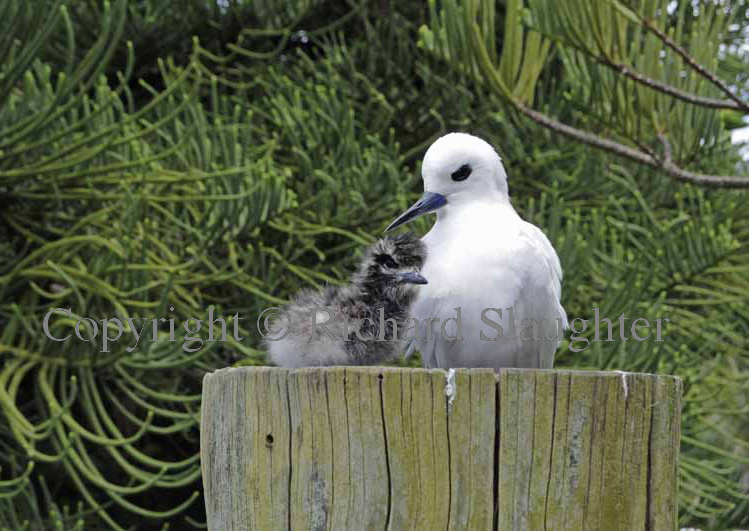 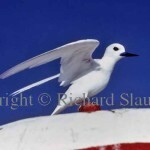 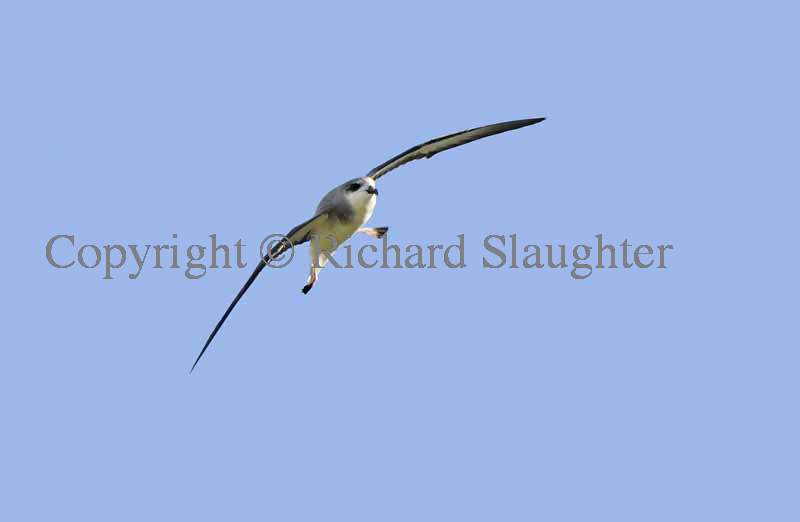 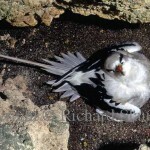 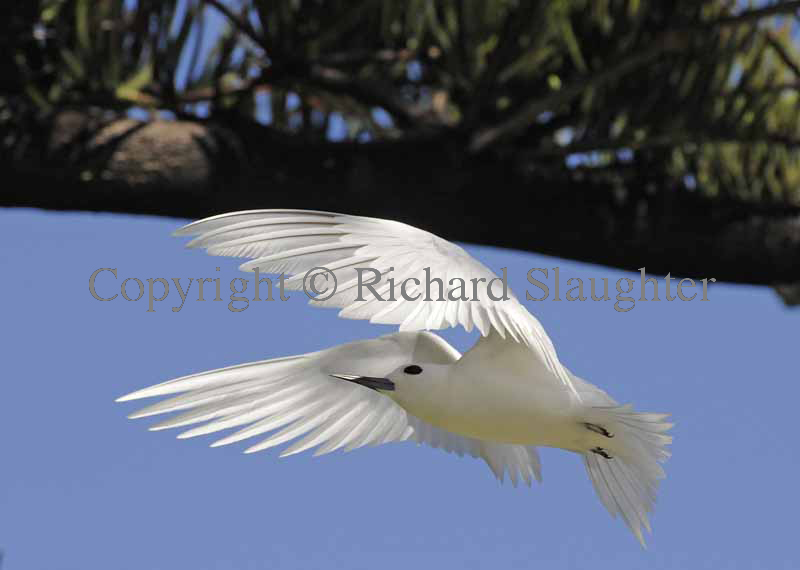 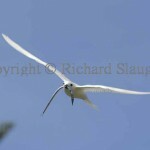 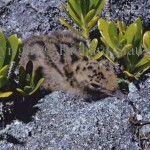 Back in the Bermuda section, above, is an image of a Fairy Tern taken on the Great Sound in Bermuda many years ago. 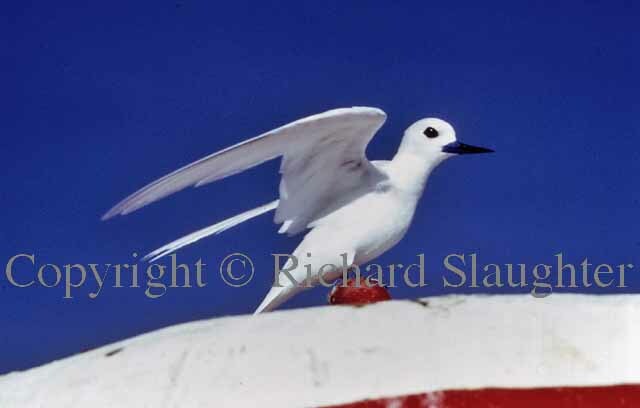 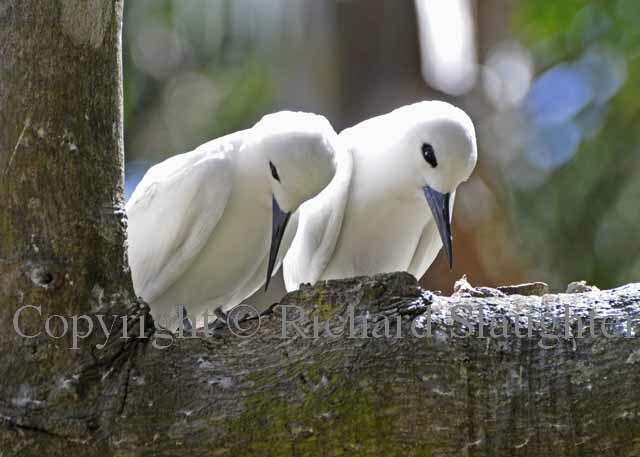 Now, on LHI, we were about to see a colony of these birds (now called White Terns) that had started to breed there only as recently as the late 1960s. 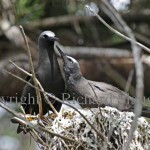 The fact that they did so seems to be largely a result of the widespread planting of Norfolk Island Pines, which the birds prefer for nesting. 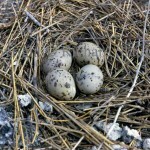 Also, the proximity of humans seems to afford them some measure of protection from predators. 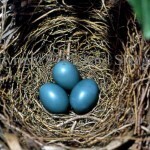 I’ll write about this separately another time. 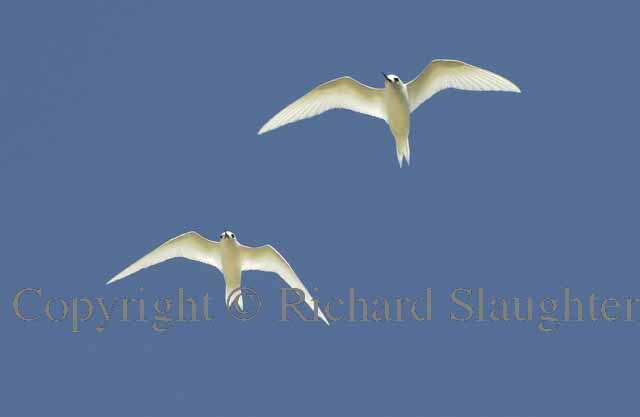 Suffice it to say that these are magnificent birds, incredibly delicate – yet obviously tough as well – and completely unafraid of humans. 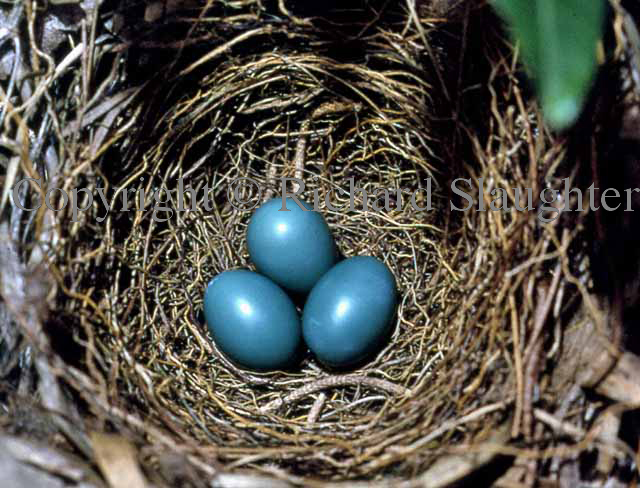 A tiny sample of these and other LHI birds can be found above. 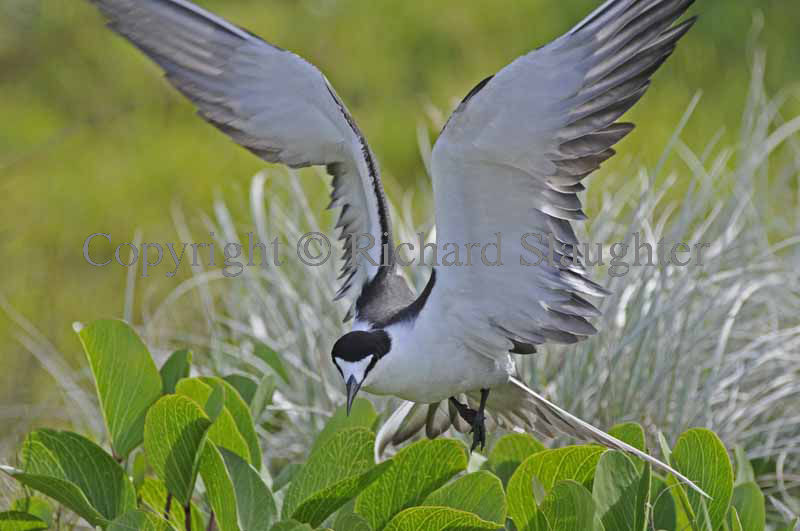 Some 100,000 Sooty Terns nest on the islands so we were able to get very close to some of the colonies, particularly at Ned’s Beach where the afternoon sun backlit the birds and the vegetation very beautifully. 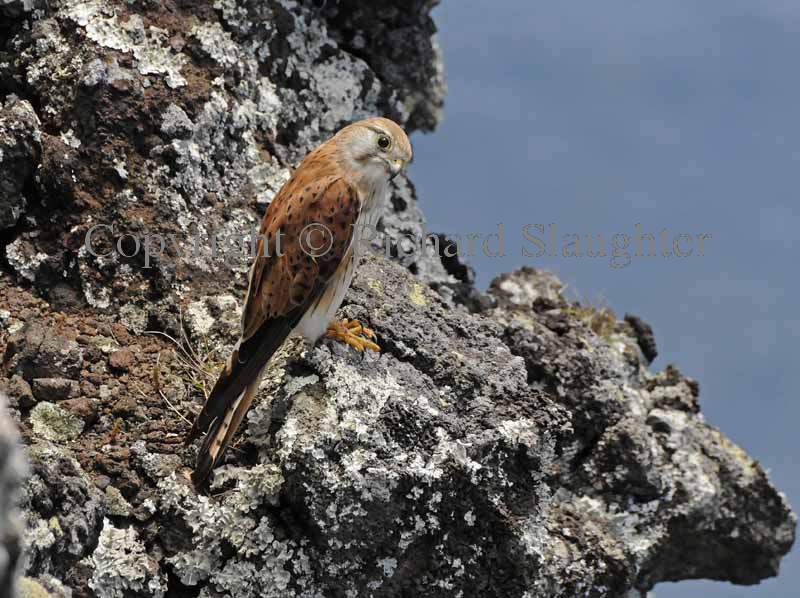 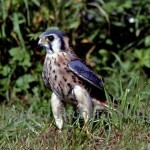 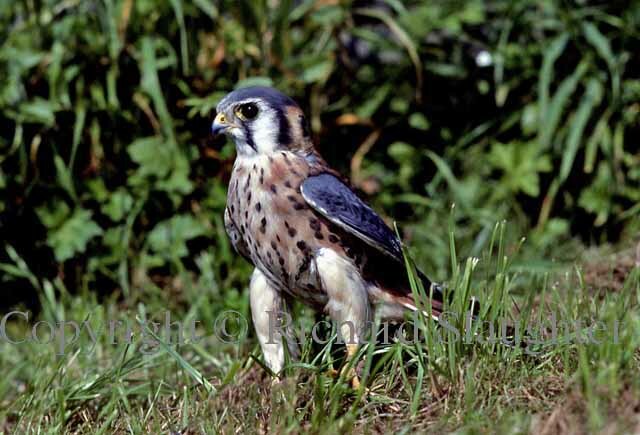 The climb up to Malabar was also rewarding not only for the Red-Tailed Tropic Birds but also for the Kestrels. 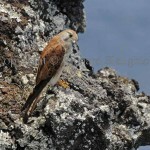 The male Kestrel would perch high on the cliffs, as in the picture here, and then dart out to harass the larger seabirds as if to say ‘this is MY area, so watch out!’ The Black Winged Petrels were a delight as they zoomed around the cliffs in the late afternoon, screeching and showing off their aerobatic skills. 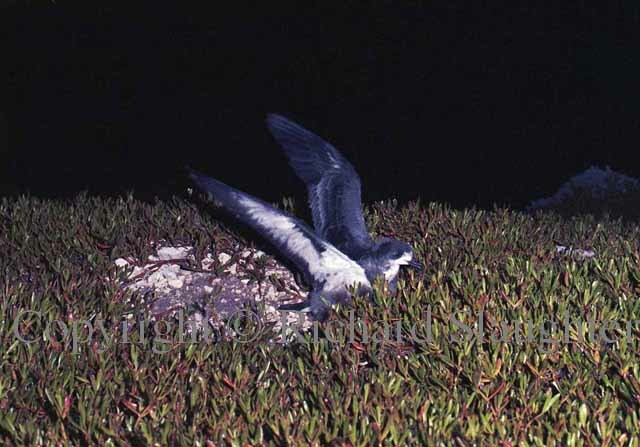 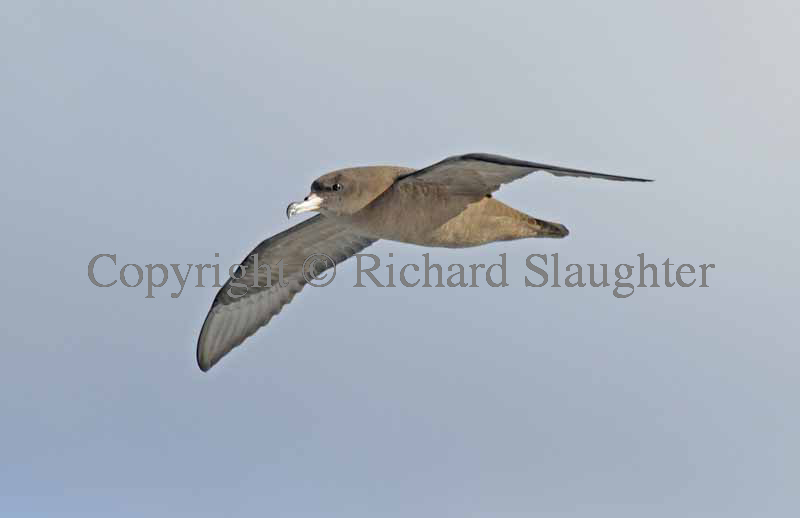 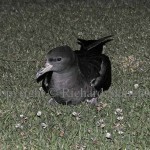 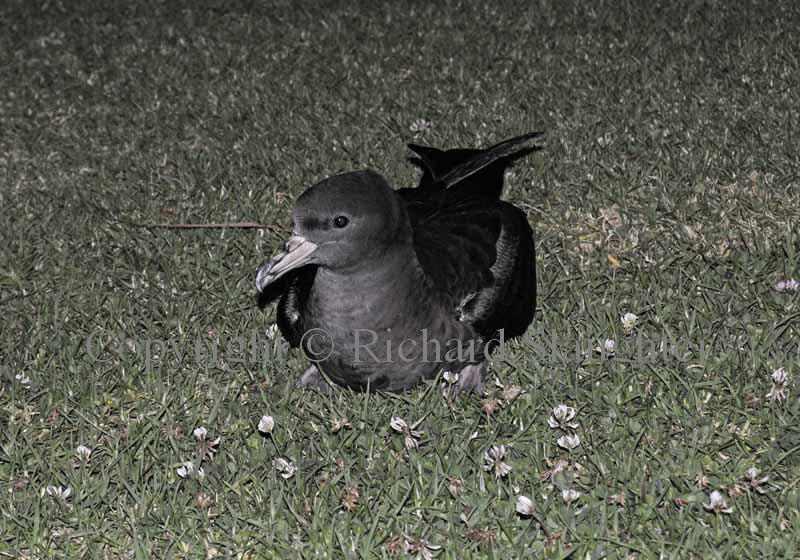 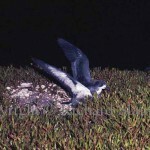 By contrast the Flesh-Footed Shearwaters seemed clumsy as they hit the ground at speed at dusk, sometimes crashing into people or objects. 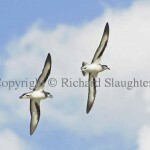 Yet out on the deep water near Balls Pyramid these ocean travelers are fast and efficient flyers. 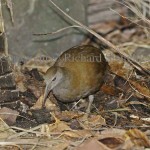 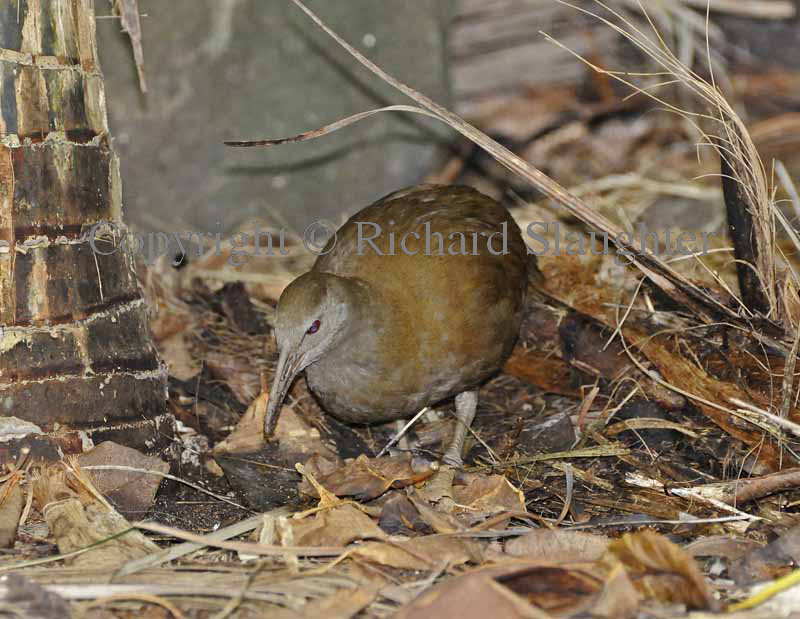 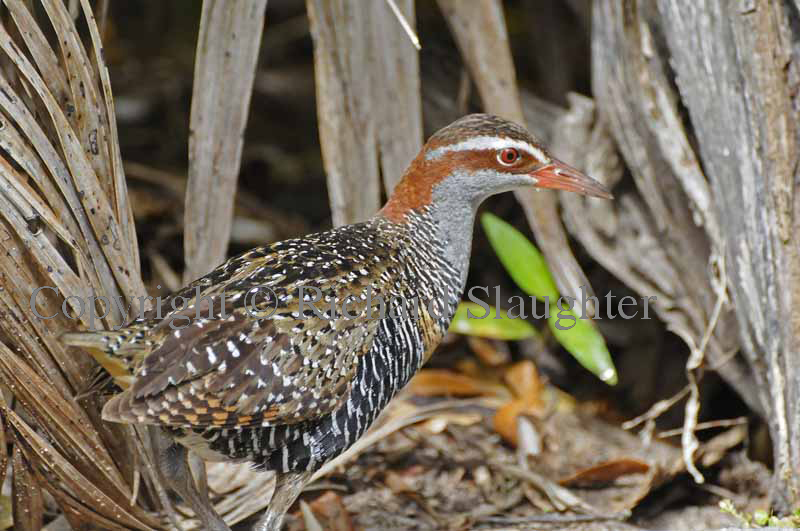 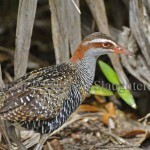 The normally shy Buff-Breasted Rails normally kept their distance, but this one clearly had media training as it stalked up and down outside a settlement café. 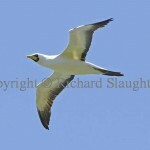 We could not see the Boobies at close range because their nesting area was on an inaccessible islet, but we did get fine views of them flying overhead at times. 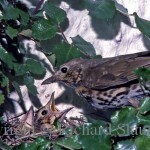 Finally, the LHI Wood Hen is a conservation success story. 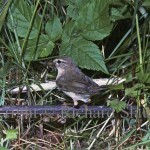 After being decimated by the usual suspects they are now again re-established in various parts of the island. 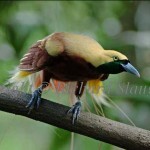 In summary, LHI is a bird paradise. 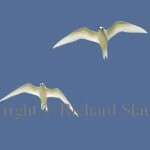 It is well preserved and rich in wildlife on land, in the air and in the surrounding reefs. 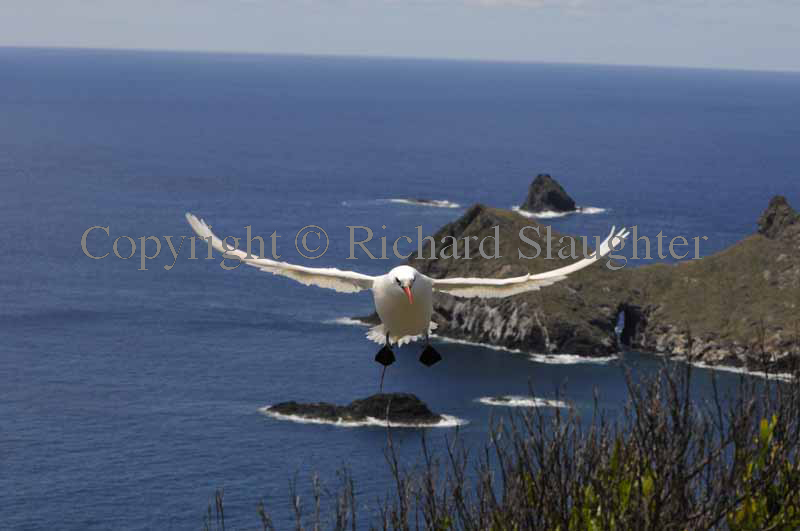 Flights and accommodation are not cheap, but it is one of the most remarkable and relaxing places I know. 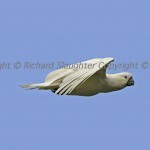 The cockatoo pictures above were taken on a nearby school field. 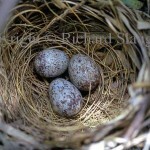 (Of course, as soon as the kids emerged, the birds left.) 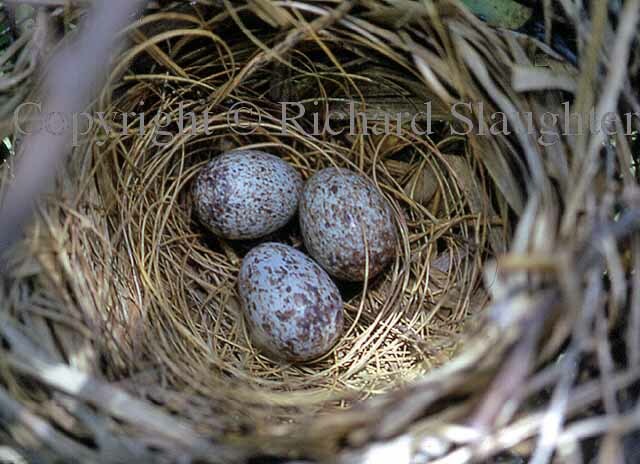 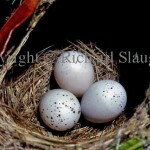 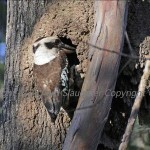 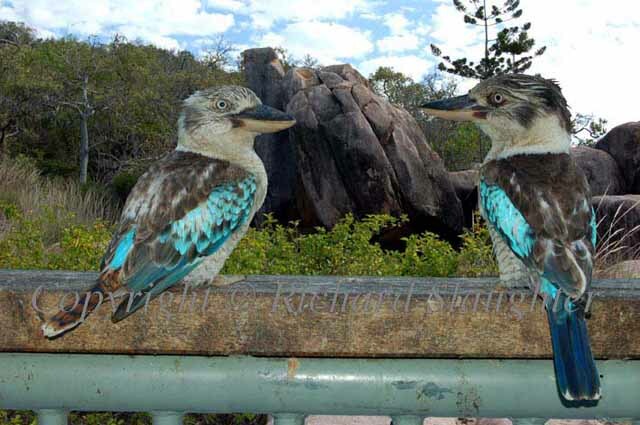 In early 2010 I spent quite a few hours at the back of a neighbour’s garden where Kookaburras had excavated an old ant’s nest several metres up a tree. 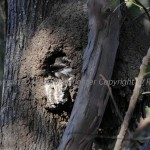 Fortunately the tree was located in a dip and I was able to position myself at a level not far below that of the nest. 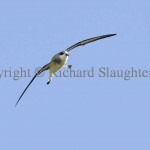 As I watched the adult birds flying to and fro with food for their young I realised again what true predators they are. 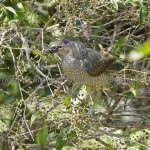 The food was comprised of beetles, grasshoppers, caterpillars, spiders and, especially, young blue tongue lizards. 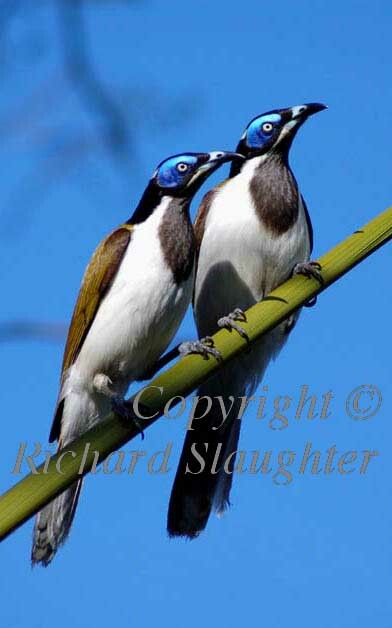 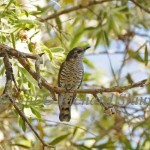 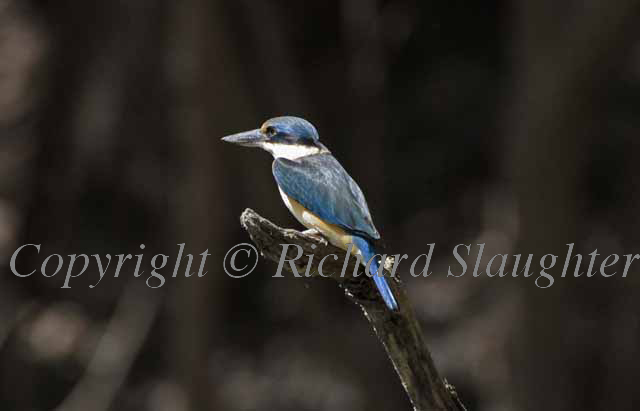 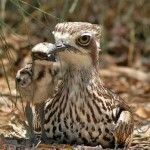 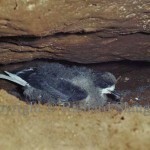 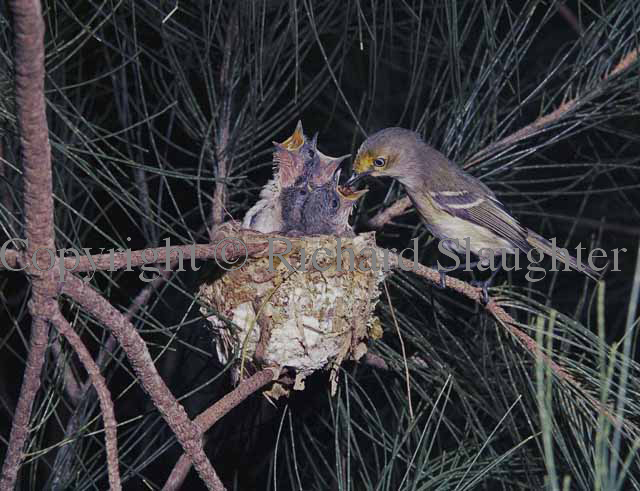 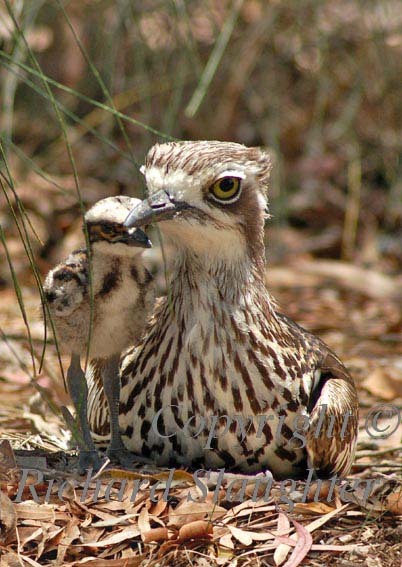 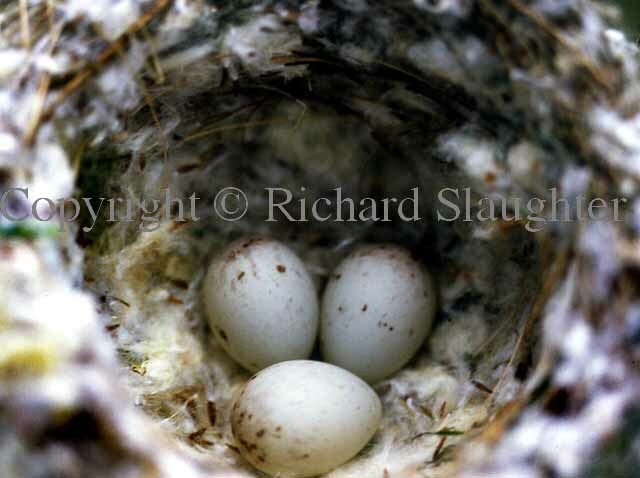 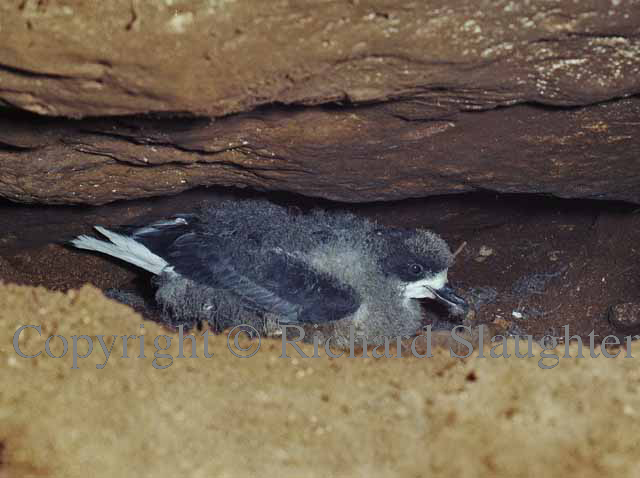 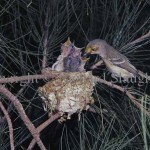 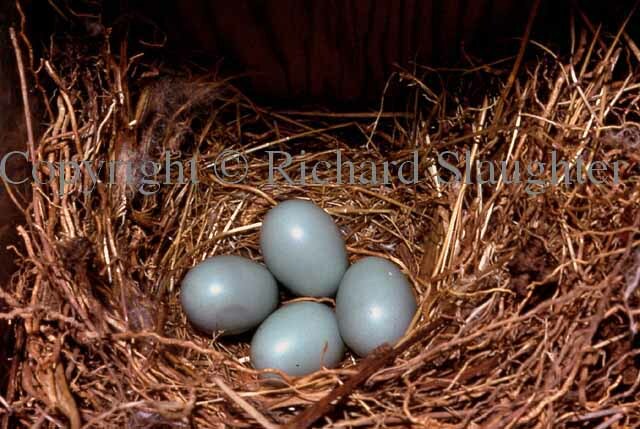 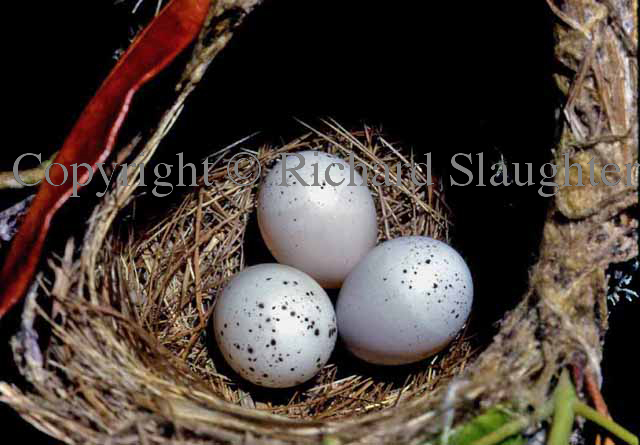 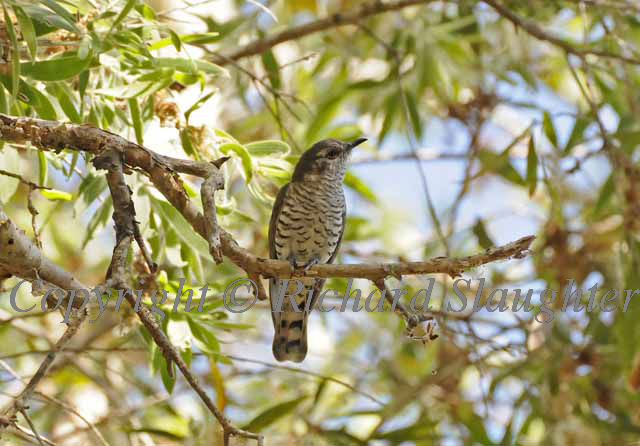 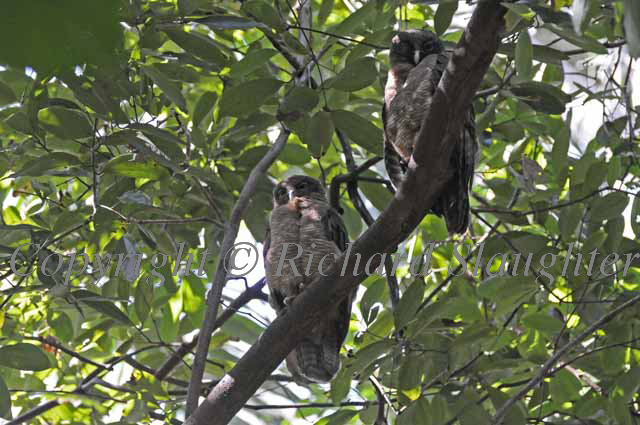 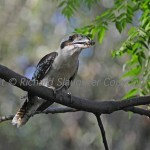 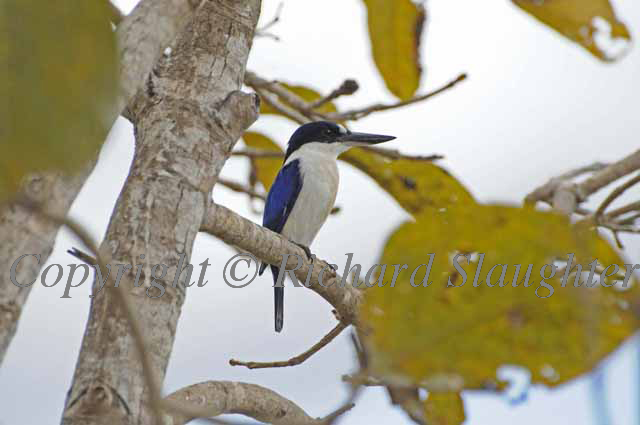 At one point a Channel Billed Cuckoo lurked for a while in the area – which made the Kookaburra parents very nervous. 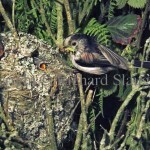 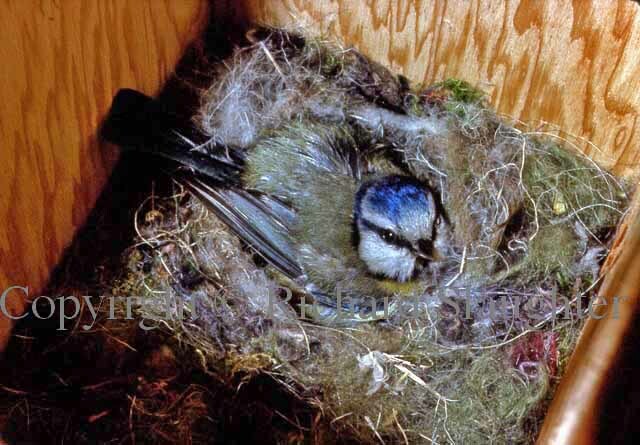 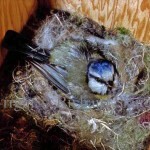 I went away for a few days and, when I returned, the chick had left the nest but was still being fed. 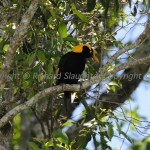 We made a special trip to a secluded B&B near Maleny (Queensland) to see – and hopefully photograph – the Regent Bowerbirds who, early in the year, make a habit of coming into feed on some particularly delicious berries. 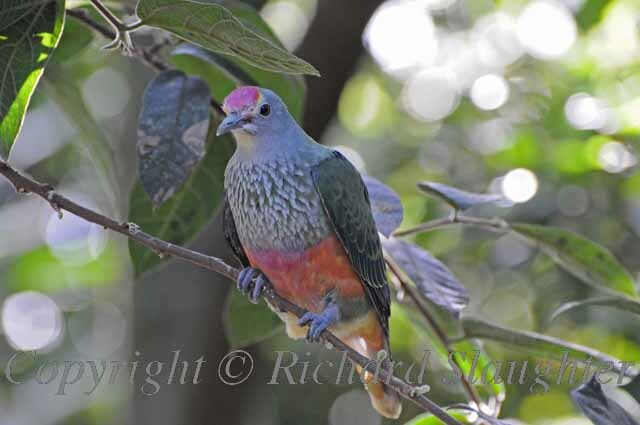 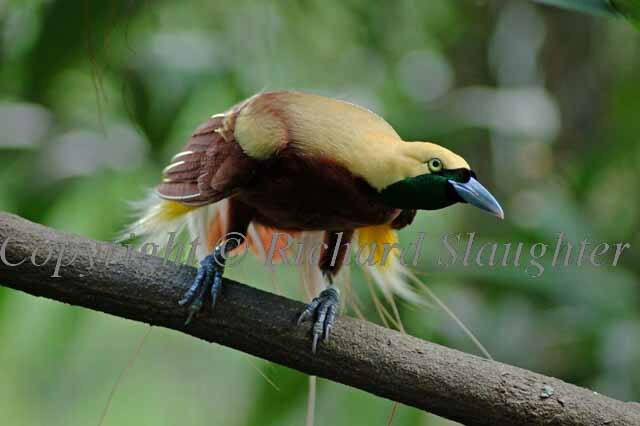 Here I’ve included a Rose Crowned Fruit Dove, a female Satin Bowerbird and also a shot of the male Regent Bowerbird, all of whom visited while we were there. 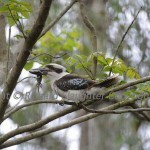 Below are some of the highlights from a trip to Kingaroy and the Bunya Mountains. 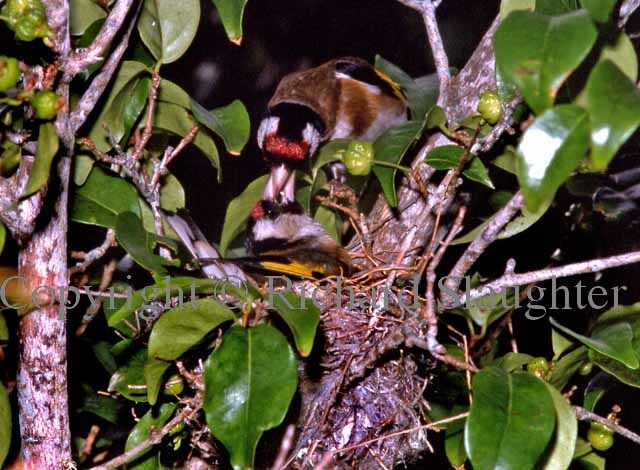 A flock of Double Barred Finches (centre) was clearly at home resting on suitable perches near some caged birds where food was plentiful. 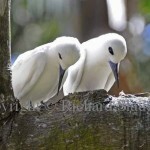 They are usually hard to get this close to. 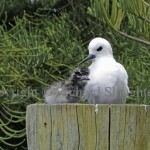 The others posed beautifully. 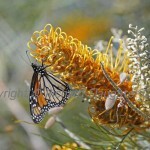 I could not resist the Monarch butterfly feeding on a Grevillea.